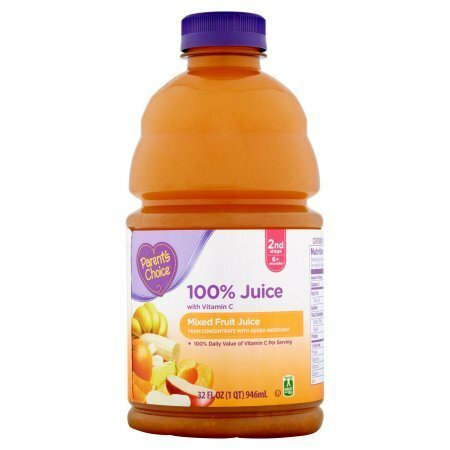 Parent's Choice 100% Mixed Fruit Juice is a delicious way to get the great fruit juice taste your children love. It's naturally gluten-free, and with a day's worth of vitamin C in each glass, you can feel good about serving it to your family. If you have any questions about this product by Parent's Choice, contact us by completing and submitting the form below. If you are looking for a specif part number, please include it with your message.